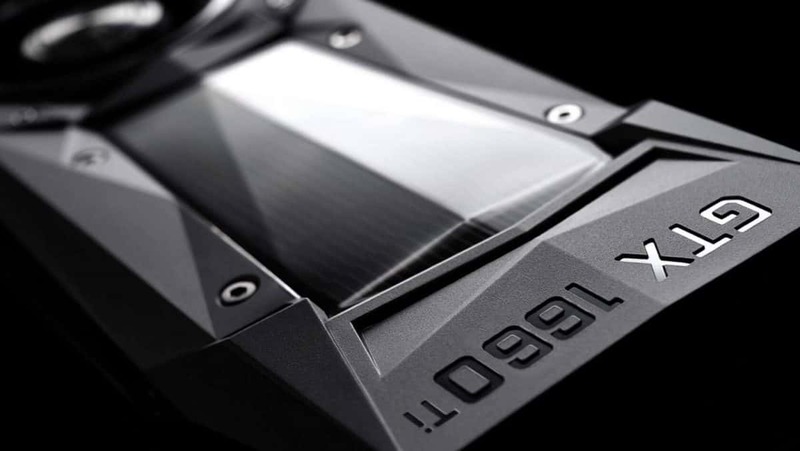 The Nvidia next-generation GTX 1180 Ti prototype was leaked recently and it was a matter of time before we got a breakdown of the what the PCB had to offer. The die size of the core of the GTX 1180 Ti is 40% larger than that current Pascal based GTX 1080 Ti. 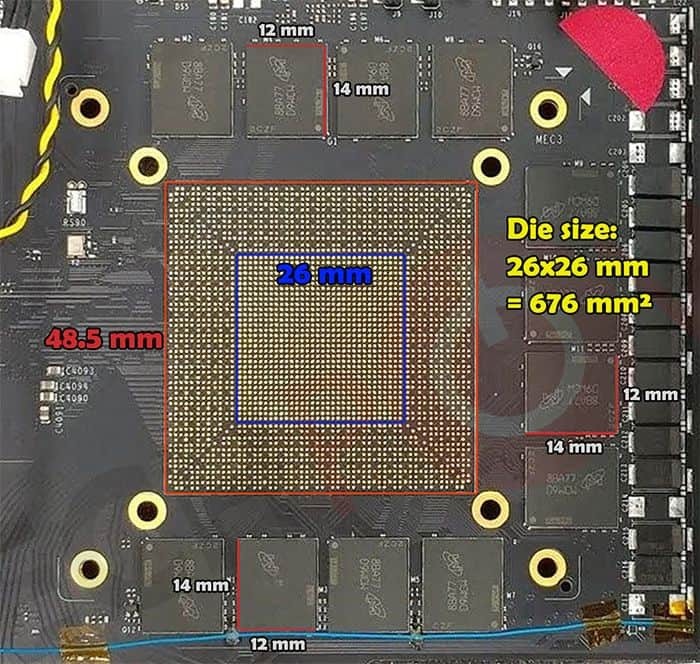 It is not surprising as we were expecting a much larger die as compared to Pascal but what does the larger die tell us? For starters, let’s make it pretty clear that this was a prototype and the final product could be different. We don’t know how old this prototype is but if it is anything to go by, you can expect the upcoming Nvidia Next-generation GTX 1180 Ti to consume more power as compared to the Pascal graphics cards. This could be offset by the process node that is being used but that is something that we can only confirm when we have the card in our hands and we can see how much power it pulls from the walls. Our sources also confirm that the Nvidia next-generation GTX 1180 Ti is indeed using Micron GDDR6 memory and the exact serial number is MT61K256M32JE-14. You can use this number to get more information from the official Micron database. The bigger die size and the change in architecture will mean better performance but as of right now we are not sure how much increase that means. A 40% increase in surface area of the die might not translate to 40% better performance but that is the number that we have been hearing about. It will be interesting to see how much of a difference there will be. While there is no confirmation that this is the GTX 1180 Ti, the 12 GB VRAM as well as the 14Gbps GDDR6 and die size do point towards this being a high-end graphics cards and while I think this is indeed the GTX 1180 Ti, if it is not then it is the little brother, GTX 1180 Ti. Either of the two. There is little doubt that this is a top of the line graphics card and a flagship model that Nvidia will be releasing. 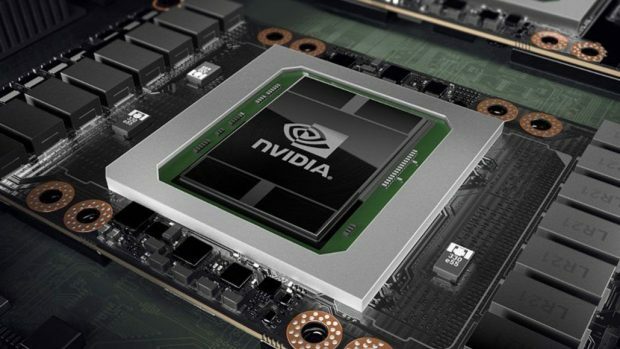 As of right now, we do not know when the GTX 1180 Ti will be coming out and Nvidia has been dead silent about the release of the next graphics architecture, which does not help either. Let us know what you think about the Nvidia next-generation GTX 1180 Ti and what kind of performance boost you will require in order for you to consider upgrading.